We can’t let fear stop us from living. After the terror attacks of March 22nd, Brussels needs visitors now more than ever. Love Over Hate. 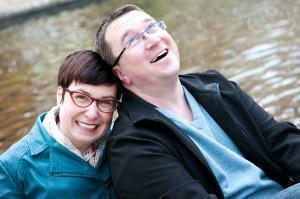 This post wasn’t originally scheduled for today and I debated long and hard about writing it. What could I say about the terrorist attacks on Brussels that hadn’t already said and, having left the city last spring, do I even have any right to be part of the conversation? But after 11 years in Brussels, it is my ‘home’ city more than anywhere else in the world and that’s not going to change simply because I’m in another location. I’ve always turned to writing as therapy; a way to collect and make sense of my thoughts. I hope you’ll bear with my stream of consciousness post as I try to come to terms with everything that’s been happening. I read the news of the terror attacks, let it sink in and realised, like so many others who live in or love Belgium, I was definitely not ok. Photos of a devastated Brussels International Airport hit me like bricks; Hallways I had walked hundreds of times were smoke-filled and shattered. I turned to images from Maelbeek station. It is less than a five-minute walk from the flat we lived in for seven years. I passed through it several times a week. I have friends, many of them, who commute through it. Every. Day. I was definitely not ok.
Just a few blocks away, it’s hard for me to picture this sunny Brussels street in the middle of chaos. Immediately I sought to contact our many friends and colleagues still in Brussels. Say what you will about Facebook, but I could have kissed whoever came up with their emergency check-in feature on the mouth. I was relieved to find so many people we knew had already listed themselves as safe. I sent texts and messages to the few I didn’t see online and, by lunch time, everyone was thankfully, blessedly accounted for. They weren’t without their horror stories, though. I knew two people who had been on metro cars at the time of the explosion and had to evacuate through the tunnels. Many of our friends made it to work but were stranded there not knowing if they’d be able to get home. But the people of Brussels immediately started to do what they do best – pulling together in times of crisis. Individuals and businesses were offering shelter to those stranded, taxis were encouraged to take people to safety for free, a hashtag was created to let people know there was help available – Brussels was responding to hate with love. All I could do was sit helpless, on the other side of the ocean, and refresh my browser. I flipped tabs between two live news feeds, Twitter, and Facebook, absorbing every scrap of information. Healthy? No. But I couldn’t focus on anything else. I chatted with a few friends in Brussels about the duality of the situation – it felt both inevitable and unbelievable this could happen in Brussels. 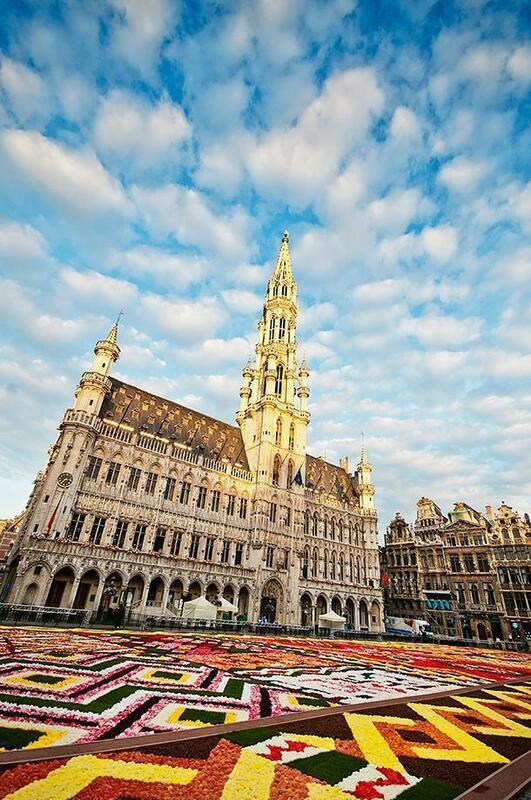 Our Brussels. Loved ones told us repeatedly how glad they were we are in Canada. I understand their feelings. Part of me was relieved we were safe from harm too and yet a bigger part of me felt, and still feels, guilty for not being there – to help, to be part of the solution, to hug my friends, to share the pain. The people of Brussels were already congregating on the Bourse and writing messages of peace – and I wanted to be there. 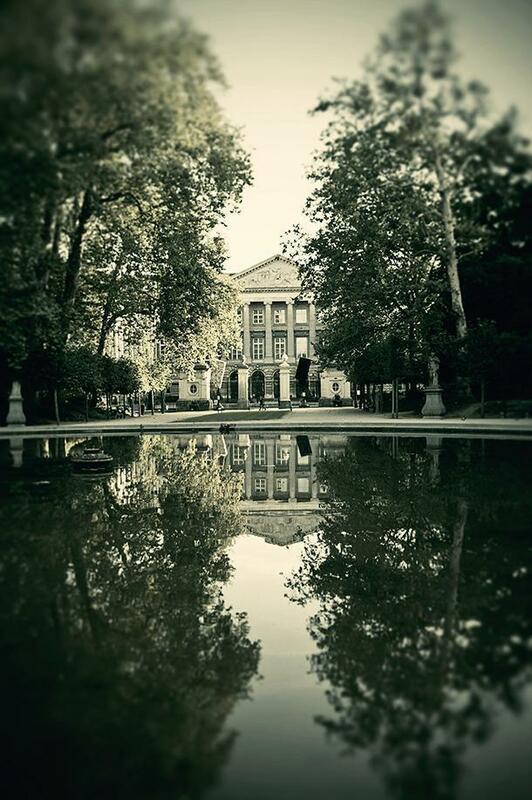 It felt like I was missing a major family event – a feeling most expats can relate to. Most of all, I wanted to be part of the outpouring showing the terrorists they failed. They committed a terribly cowardly act and killed tens of innocent people. But what all terrorists hope to accomplish with these terrible acts is fear. The people of Brussels showed immediately how spectacularly they failed by taking to the streets and showing their love over hate. Now I know people in Brussels are afraid. I would be too. I AM afraid for my friends. 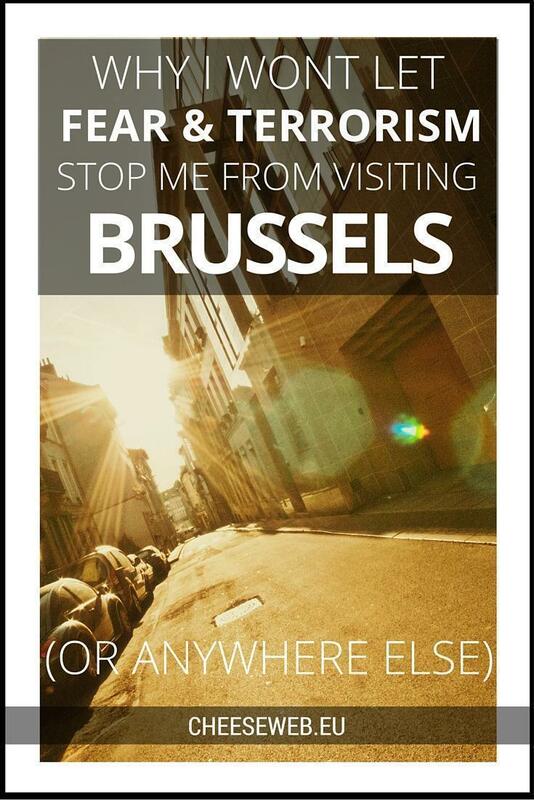 But that fear wouldn’t stop me from going to Brussels right now if I could. I refuse to let the terrorists win. If I had a dollar for every time someone asked me over the years if I was scared, I’d be a wealthy woman. 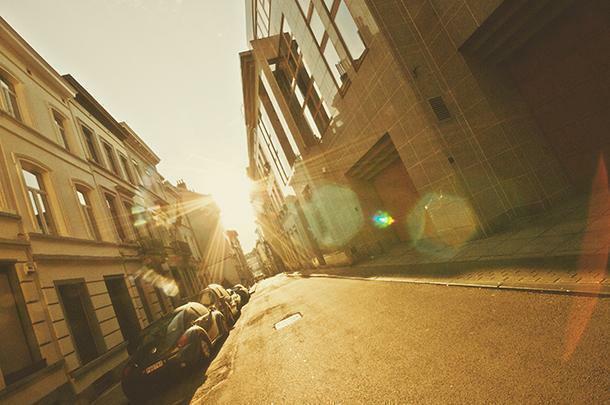 I was asked if I was afraid to live in Brussels and Amsterdam; if I was afraid to live in St-Josse; if I was afraid to travel to India, Egypt, Malaysia, and French Guiana; if I was afraid to be in Athens during the riots, or London during their own terrorism scares; if I was afraid to live in a motorhome… The answer has always been no. Despite any evidence to the contrary, I am not, nor have I ever been a brave person. I’m afraid of a lot of silly things from spiders to talking on the phone to strangers. After countless flights, I’m still a nervous flyer and after a bad car accident in my 20s, I’m nervous passing big trucks on the highway. I’d be lying if I said I’ve never been afraid travelling, but it’s happened a lot less than you might think and in places you probably don’t expect. No one has ever said, ‘Aren’t you afraid to travel to the US?’ yet many of my scarier travel moments have been here in North America – not Egypt, not India, and definitely not Brussels. In fact, I felt safer walking around alone, as a woman, in Brussels than I did here in Eastern Canada. Would that be different today? I’m honestly not sure. But I’d still do it because life has to go on. Since the attack on Brussels, I’ve already heard of people cancelling their travel plans to Belgium and even Europe. This makes me deeply sad, because what Brussels needs now, more than anything, is a show of support, an outpouring of love to show that the terrorists didn’t, and never will win. Beautiful Brussels need our support now more than ever. Imagine if everyone decided to stop travelling to the United States because of all of the acts of domestic terrorism: school shootings, workplace shootings, shootings in theatres, malls, and right out on the street where people are going about their daily lives. If I based my opinions of America only on what I see on the news, I’d never set foot across the border. Sitting at home, in front of our televisions or reading our newspapers, it’s easy to believe the world is a terrifying place filled with bad people who want nothing more than to hurt us. But one thing travel has taught me, time and time again, is the media distorts reality and the world is essentially a good place filled with peaceful people. After an event like Brussels (or Paris, or Turkey, or any of the other senseless acts of violence in the world) it’s easy to think otherwise. However, the terrorists in Brussels (or anywhere else) are such a tiny fraction of the population. Just look at how many people reached out after these events to offer help, support, and love. The more I travel to other parts of the world, especially those deemed ‘scary’ by the media, the more I see kindness, the desire for peace, understanding, and love. Travel helps break down the ‘us vs them’ mentality that causes so much friction in the world today, whether that travel is to another country or just another neighbourhood. After the terror attacks in Paris, our website statistics went crazy for a few days, while people searched for Molenbeek. Before the attack, I doubt anyone outside of Belgium had heard of this neighbourhood at all, but suddenly it became a hotbed of terrorist fanaticism. To see it on the news, you’d think people were walking those streets with bomb vests and machine guns, rather than baby strollers. We’re not denying the area or Brussels in general doesn’t have problems and a few bad people – but name a city that doesn’t. We went to Molenbeek frequently to shop and anytime we were there our biggest issue was finding a place to park, not fearing for our lives. Since the discovery the Paris attackers originated in Brussels, the city has been called everything from a ‘hellhole’ by a certain toupee-sporting, spray-tanned, presidential candidate, to a ‘failed state’ by just about every news medium everywhere. But few commenters ‘get’ Brussels. Hell, we lived in the heart of the city for 7 years and I’m still not sure I get Brussels. Only one article I’ve read recently has come close to nailing the problem and the beauty of Brussels – and it comes down to diversity. I honestly can’t say it any better myself so I’ll leave you to read ‘What is Brussels?’ for yourself. I get it. Terrorism is scary. That’s the whole point of random acts of violence – to scare us into changing the way we live. But staying locked in our houses in our home country afraid to set foot abroad is no way to live. Besides, we’re much more likely to be killed driving to work than in an act of terrorism. Why aren’t we terrified of the fast-food epidemic killing us with heart disease? Give me a plane ticket over a coronary any day. Fear of terrorism (or anything else) is not going to stop me from travelling, from trying new foods, from making connections with people from other cultures, backgrounds or religions, from living the fullest life I possibly can. 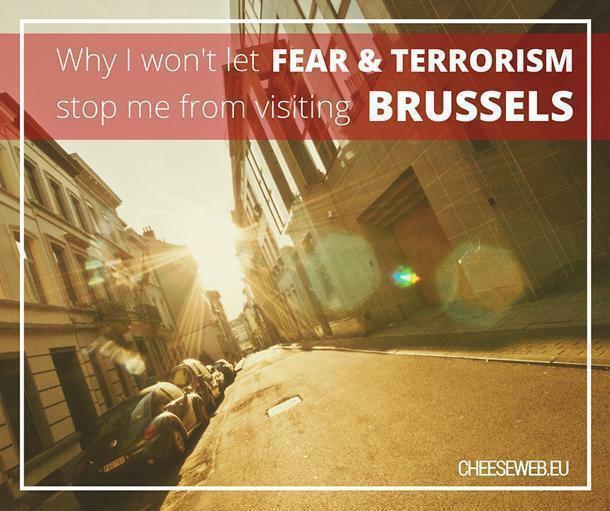 Fear is definitely not going to stop me from visiting and loving Brussels. If fear stops us the terrorists win. Don’t let them win. Love over hate. 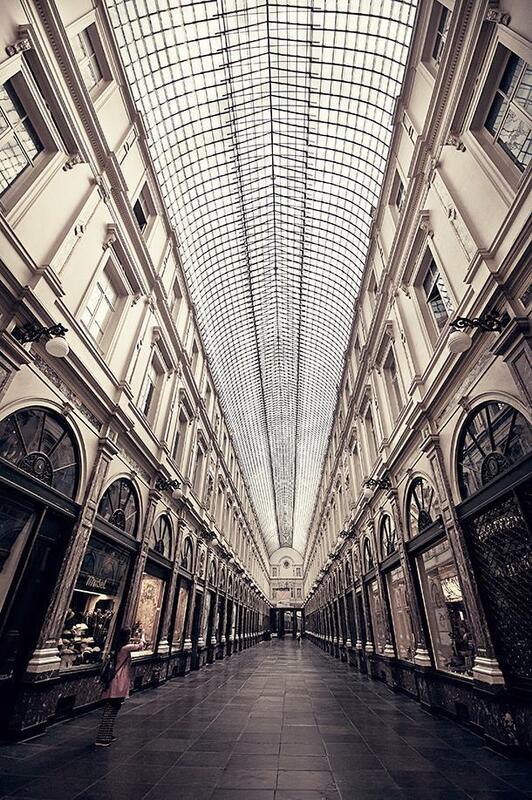 If you need a million+ reasons to visit Brussels, start here. As always, we welcome respectful discourse in our comments section. We know this issue is divisive but we won’t tolerate hate on CheeseWeb. Please keep your comments courteous or they will be deleted.